This week's question is: Tell us about the most emotional scene you've ever read in a book - and how did you react? It's very hard for me to describe the most emotional scene without huge spoilers. 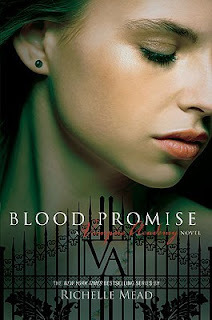 I will say that some of the most emotional books that I have read so far were Shadow Kiss (Vampire Academy #3) and Blood Promise (Vampire Academy #4). If you happened to have read these, you will understand why they were so tough and emotional. Richelle Mead isn't afraid to hit hard and bring you to tears. She takes characters away from you even if you love them. See the summaries of these books below. A couple of other really emotional scenes for me include Dobby in Harry Potter and the ending of The Iron Queen by Julie Kagawa. The ending of Shadow Kiss made me cry. I just felt shattered and yeah it is a spoiler if I tell you which scene but you know what I'm talking about. I'm glad I'm not the only one. That was definitely a tough one. Thank you so much for stopping by! Oh yeah, The Vampire Academy is full of those moments! But you're right - completely impossible to be any more specific. Have not read these but have definitely heard of them! You are so right about Richelle Mead. It's like she makes you earn a happy ending by ripping our hearts out first. I was wrecked reading those books! Normally, I'm too wussy for that sort of thing, but I couldn't stop reading. Good picks! Nooo, you scare me. I hate getting all emotional. I didn't know the vampire academy was like that in parts. Now I am scared. Ooh I so agree about those!! These two definitely had me getting emotional! There are so many emotional scenes, or maybe I cry all the time. I think I would choose the boy in the striped pajamas, it has an intense scene and the others you can just picture them because we all know what happened in real life back then. It is a very strong book, I've read it twice and I always end up crying and depressed. I still haven't read Vampire Academy series! I really need to get on that. Have you read the Bloodlines Series by Richelle Mead? I couldn't get into the Vampire Academy series for some reason, but the spin off series I love!! I just feel like I can connect more with the characters. That probably doesn't make a lot of sense, but I really love the Bloodlines Series. It was wonderful! Enjoy your weekend...it's sunny and warmer here. I think spring is here! It is :D Thank you so much! I know that I don't usually ever cry while reading, and those got me there. Maybe you just weren't as attached to the characters. Thank you so much for stopping by! I don't enjoy getting emotional either! Thankfully out of all 6 books there were only really emotional parts in these two and it carried some weight in the books making them pretty important. Oh I haven't read that one! The Iron Queen is a great one :D Thank you so much for stopping by! Oh no, really? I hope you get to soon. Have a wonderful weekend! After the 3rd one, I did the exact same thing and waited until the 6th one before I started reading again :D Thank you so much for stopping by! Oh I hope you get to. She's one of the authors that can really surprise me. Thank you so much for stopping by and following! Me too :D Thank you so much for stopping by - Have a great weekend! I really hope you get to...I bet you would enjoy them. Yes The Iron Queen definitely got to me. Thank you so much for stopping by! Following you! 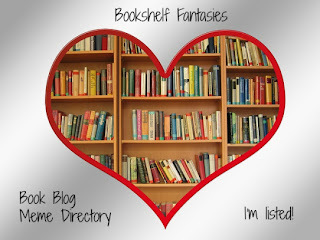 :) Love this blog hop thing. Hi! Nice choices! I'm following you on Twitter. Hopping through. 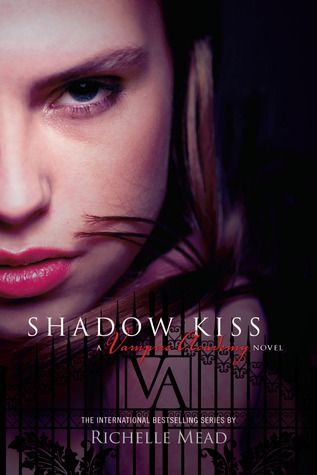 Yes, Shadow Kissed totally gets me. Glad it worked out by the last book! I've been wanting to read The Vampire Academy for ages! I will have to read them soon! I agree with you on the ending of The Iron Queen, it was definitely emotional. Great pick, those are pretty emotional. I immediately thought of Dobby in Harry Potter, yes I cried. I love this series. I remember yelling at the books the first time around. I do like to go back an re-read them every once in a while when I can. One of my fave series, but yet to finish it. VA and Dobby! *sigh* Oh yes. I haven't read The Iron Queen yet, need to finish of this series!